The structure of time, of the calendar, and of months is incredibly useful in society, but is often more a problem than a solution for athletes. Even though we live on a 24-hour schedule, and most of us work or go to school for five days followed by two days off, our bodies don’t respond perfectly to the timing. This is why breaking free of the 7-day week is crucial. This style of plan, or something like it, is common among weekend warriors. The problems with it are well known to those who live this way: A less-than-perfect climbing day Sunday, lackluster climbing on Thursday, and an overall feeling of not quite performing up to your potential. Short of changing the schedule of your weekly work and family commitments, it seems you’ve got few options. What’s worse, such a plan leaves you short on sufficient volume to build endurance, short on enough recovery to redpoint hard, and short on time for skill practice. One of the common solutions to such a plan is to set up a periodized program. SInce I’ve discussed the pitfalls of a traditional periodized plan elsewhere, I’ll avoid doing so here. 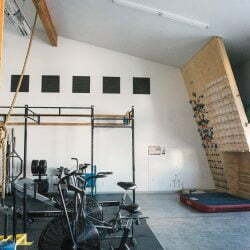 But the bottom line is a program that cycles on a 4 or 6 or 8 week scale between power, strength, and endurance, has not proven to be effective for most climbers, and leaves most of us short on performance time. I’m not saying you shouldn’t cycle your training…I’m just saying that most of us do it wrong. The solution to the 7-day week is to start looking at your training in terms of your physiological needs rather than the calendar. Simply moving from looking at 7 days at a time to 10 or 14 or 21 will solve most of your adaptation problems. One of the most famous cycles is the 4-day repeating cycle, 3 days on, one off. Other cycles include 8-day and 10-day, but for anyone who can’t leave the confines of the normal work week, these aren’t realistic choices. We can, however, easily adapt a 14-day (and 28-day) cycle into our training with little or no pain. Another option is to block training time into your schedule every single day, and then do easy, non-training activities during your scheduled time of that day happens to come up a rest day. For athletes that can pull off such a schedule, the cycling problems are all-but-unheard of. Strength, Power, Endurance, and Skills must be trained year-round. You can vary the ratios, but you should never stop training any facet of your climbing. All of the same facets of training in #1 above require different levels of energy to train and recover from. A rest day might be fine for recovering from an endurance session, but you might need three “rest” days after a power session. Good performances are motivating – the single most important goal of your training plan should be to increase the number of good days / performances you have. If you can train on a 4-day cycle, you can get a lot out of it. You’ll get more regular training, appropriate recovery days, and you won’t have the weekend hiccup of trying to push too much into too little time. The biggest problem with such a schedule is that no one else is on it…good luck finding training partners. So what’s the next best thing? Work within the confines of a weekly system, but don’t limit yourself to one-week-at-a-time thinking. The 14-day cycle solves a few problems. It allows for two solid performance days, plus a second-level performance day every cycle. 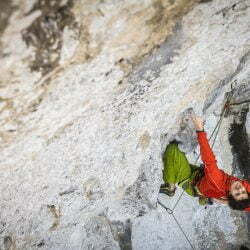 On the face of it, this is fewer days of cragging – which seems like you’d send fewer routes. In reality, this allows for better performance on the crag days because you’ve rested more appropriately. By letting loose of keeping your training on specific days each week, we can see other benefits. Instead of getting just one power day each week, the climber now gets three every two weeks. This allows sufficient recovery between these sessions, but not so long between sessions that the adaptation is lost…one of the biggest issues in a weekly plan. There are benefits to going even longer, to looking at your training in 3-week or 4-week patterns, but most of these force athletes into schedules that their “real world” schedule won’t allow. Recently, some of our athletes have been testing out 4-day builds where the primary quality trained changes every three weeks. This is getting into some complicated territory, and there are still bugs to work out, but I think this is the future of programming for skill sports. If you take the time to go back and read the original research on periodization, you’ll find that its purposes were to prepare athletes for once-a-year or once-every-four-year performances. Despite scientists’ and coaches’ best efforts, the success rate of even the most stringent periodized plans seems to fall short – only about 20% of Olympians turn in personal bests at the Olympics. Rooted heavily in strength sports, the traditional model falls apart when skill maintenance and acquisition are the primary needs of the athlete. This problem is where I am spending most of my work time these days. 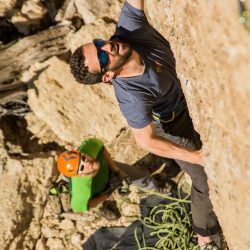 How do we make climbers perform better, more often? I think the 14-day model is a start for most of us, and can lead to a different view on how to plan our time – simply by breaking free of the 7-day week.